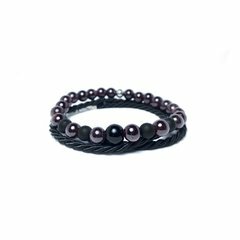 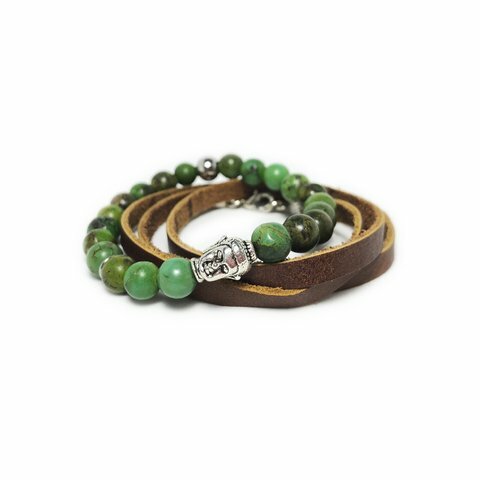 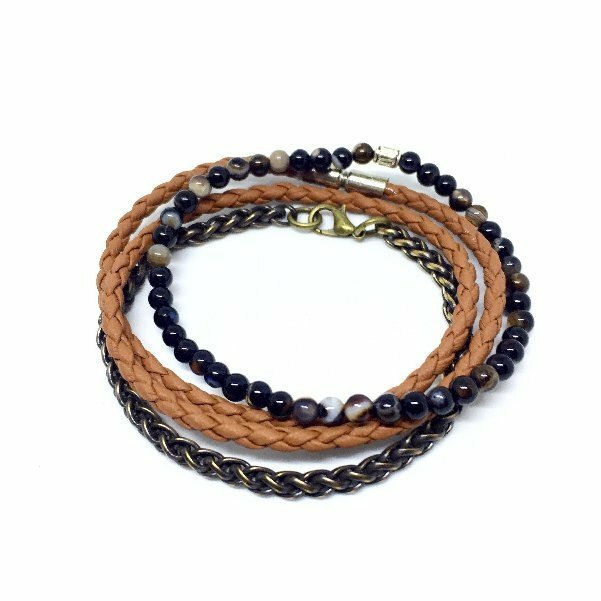 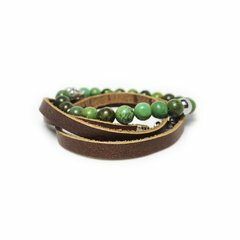 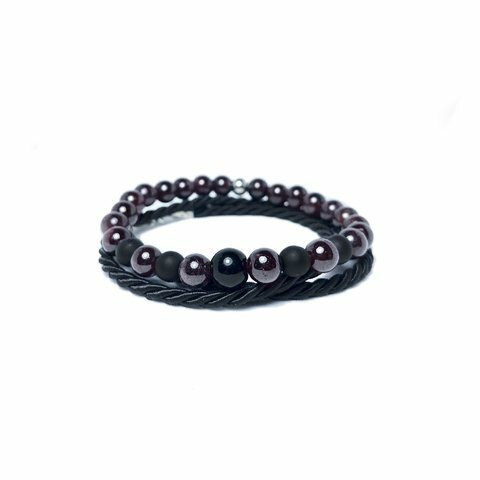 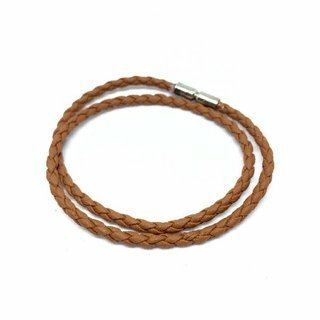 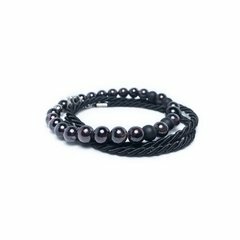 _ Double bracelet in round braided leather with magnet clasp. 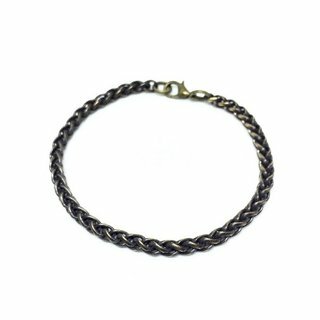 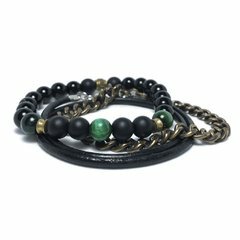 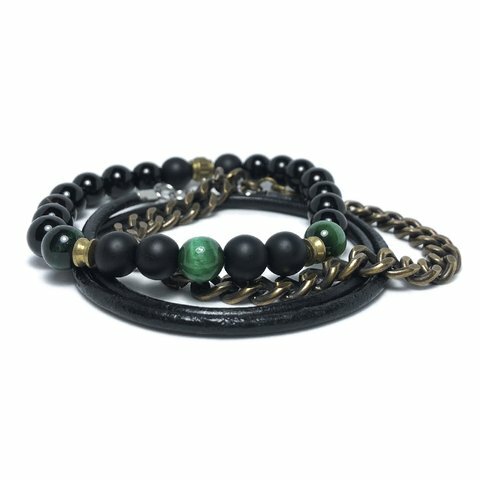 _ Bronze colored chain bracelet. 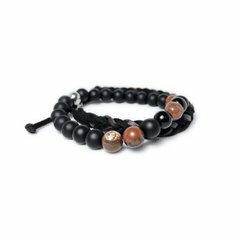 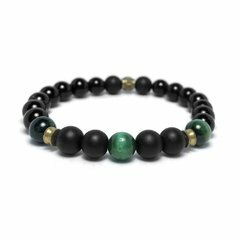 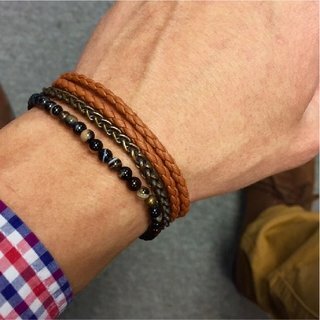 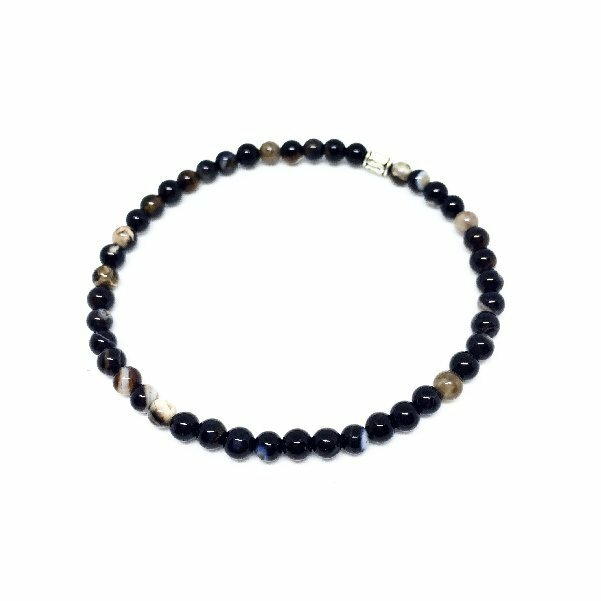 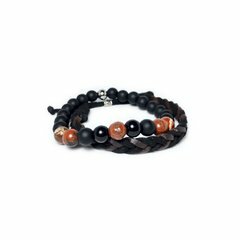 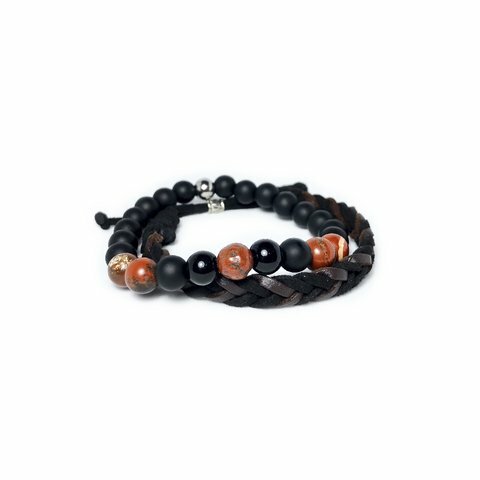 _ Bracelet made with small black stones with brown stripes.